Fresh and diverse, Ryke’s is the best little lunch spot in town. Ryke’s Bakery, Catering, & Café is a favorite meeting place among locals and tourists alike, offering fresh-made selections of signature wraps, soups, salads, and seasonal favorites along with baked goods and confections daily. Take a look at our gallery to see some of our delicious offerings. 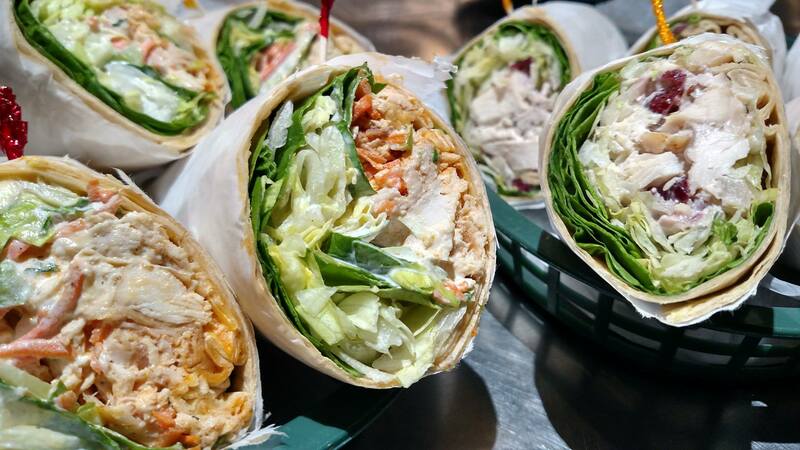 We will be featuring a different wrap and soup each week in our café – Chef’s choice! Visit our Facebook page for up to date café specials and menu items each week. Visit our specials page for the latest monthly cake and doughnut specials.